This site was designed by Laura and Stuart. Problems, comments? 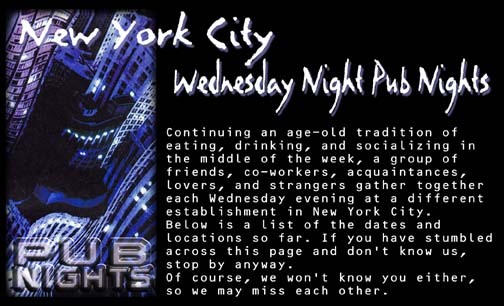 Send an email to info@pubnight.com.